ADDIS ABABA, ETHIOPIA, APRIL 2014. In the Menelik public school, young school children are under the influence of foreigners networks and western culture. 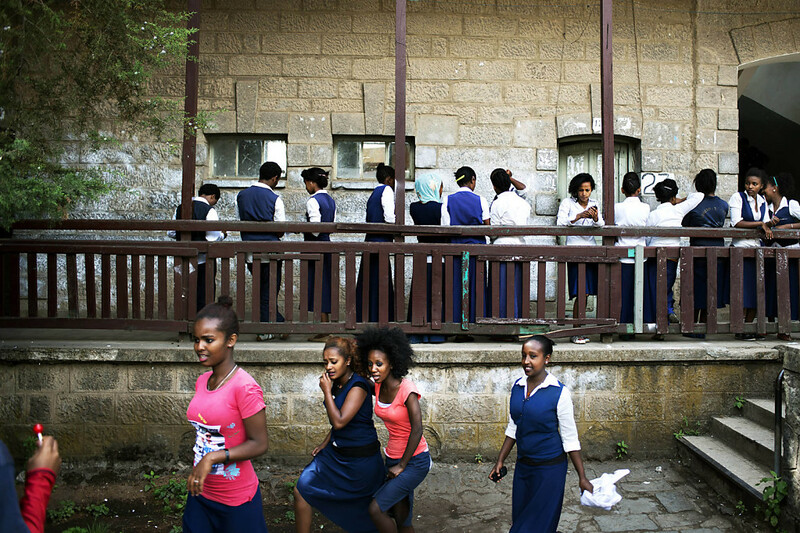 The new ethiopian generation is lost between traditional education and new cultural and commercial influences.